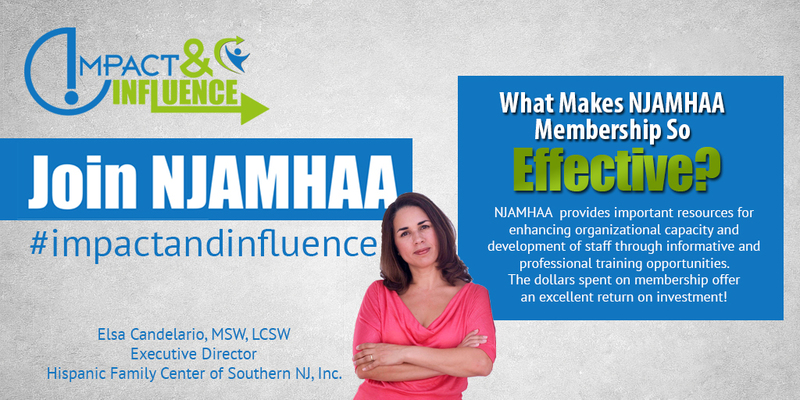 NJAMHAA’s mission is to promote the value of its members as the highest quality behavioral healthcare providers for the residents of New Jersey through advocacy and professional development. NJAMHAA effectively brings the concerns of our membership to those in power. Through a wide variety of practice groups, councils and conferences and trainings, NJAMHAA provides our members with forums for active exchange with local and national leaders, as well as peers. Targeting the specific needs of our membership, our newsletters save members time and money while providing all the leading industry news in behavioral health. 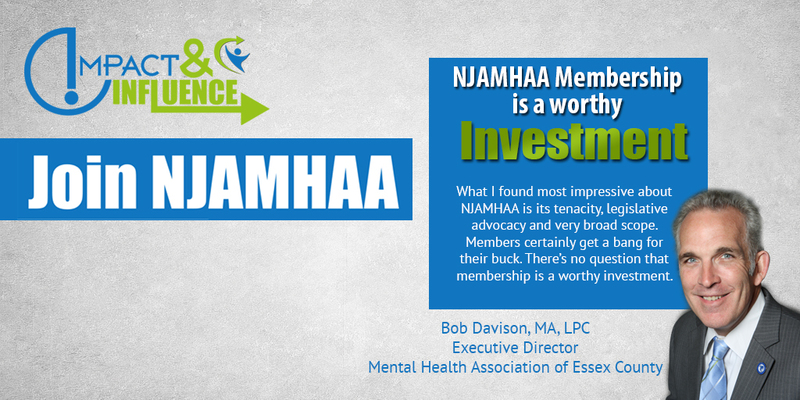 To increase members' access to the entire mental health and substane use services field, NJAMHAA also established a variety of associate membership councils with industries with interests in behavioral health, providing a unique two-way opportunity for our members and representatives from the nation's top companies to meet and network.